Nepal Bhutan Tour has been designed to combine the most exciting highlights from both of the countries and give a thorough overview of the life and nature in this fascinating part of the world. Starting from the capital of Nepal, Kathmandu, Nepal Bhutan Tour takes you to the wild and unexplored places of Bhutan. Kathmandu is rich in culture, religion and architecture. The ornamental city will lure you with their artistic beauty and cultural heritage sites that have carried the history of Nepal and Nepalese. Visiting to Six UNESCO world heritage sites of Kathmandu will blow your mind with their artistically beautiful idols and monuments. Nepal is well known for the beautiful city like Pokhara too. As the city is best popular for the lakes and wonderful Himalayan ranges scenes. Explore Pokhara at different angle. Here, you will be able to relax and enjoy chilled drinks while admiring the reflection of the Himalayas in the crystal clear Phewa lake. Not only this you can also enjoy the adventurous activities like Paragliding, Bunjee Jumplig, Zip flyer and boating and rafting in Pokhara. After Pokhara, the journey continues to Bhutan – a small kingdom completely spread out on the foothills of the Himalayas. Bhutan will amaze you with its natural beauty and peculiar secluded culture that has managed to survive the modern world thanks to the country’s seclusion. This is one of Bhutan’s biggest charms. 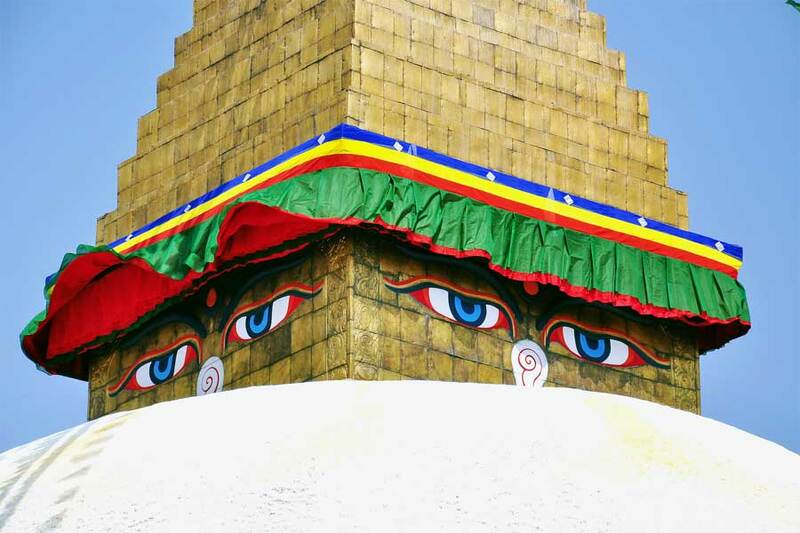 We’ll make sure that you visit all the must-see locations including the capital Thimpu. You will love the journey to Punakha and back Paro for the Taktsang Monastery hike which is so admirable and amazing. All of these places of Nepal and Bhutan symbolizes wonderful history, Himalayas and culture are unimaginable and lucrative for the foreign visitors. Himalayan Trekking is always eager and happy to take you along on our journey and help you discover just how magical Nepal Bhutan Tour can be! Day 1: Arrival at Kathmandu airport and transfer to hotel. Overnight at hotel. Day 2: Full day of sightseeing in Kathmandu Valley (5-6 hours). Overnight at hotel. Day 3: Sightseeing in Bhaktapur and drive to Nagarkot. Overnight at hotel. Day 4: Drive back to Kathmandu Airport and fly to Pokhara. Freshen up before boating in Fewa Lake. Overnight at hotel. Day 5: View the sunrise from Sarangkot before a full day of sightseeing in Pokhara valley covering Davi’s Falls, Cave, Stupa etc. Overnight at hotel. Day 6: Fly back to Kathmandu and prepare for Bhutan. Overnight at hotel. Day 7: Fly from Kathmandu-Paro (Bhutan) and drive to Thimpu. Overnight at hotel. Day 8: Sightseeing in Thimpu valley and drive to Punakha. Overnight at hotel. Day 9: Drive back to Paro Valley and sightsee in Paro. Overnight at hotel. Day 10: Hike to Tiger’s Nest and back to Paro. Enjoy free time at your leisure. Overnight at hotel. Day 11: Fly back to Kathmandu. Overnight at hotel.